The injured John Conlon and Paul Flanagan make way for Davy Fitzgerald’s side. Davy Fitzgerald has made two changes to his Clare side. 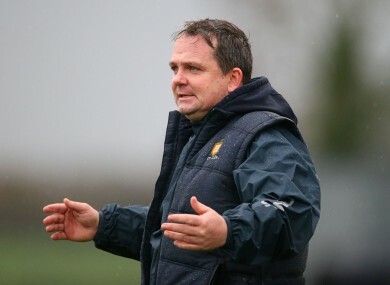 DAVY FITZGERALD HAS made two changes to the Clare side that beat Kilkenny ahead of Sunday’s Allianz Hurling League Division 1 final against Waterford. The injured John Conlon and Paul Flanagan make way, with Tony Kelly and Peter Duggan coming in in their place. The match takes place tomorrow at 3.30pm in Semple Stadium. Waterford last night confirmed their starting XV, with Maurice Shanahan a notable absentee. Email “2 changes for Clare ahead of league decider with Waterford”. Feedback on “2 changes for Clare ahead of league decider with Waterford”.